Alex Da Corte’s large-scale installations and videos are populated with surreal imagery that includes floating plastic swans, a dancing Frankenstein monster, candy-colored walls, and neon lights bent to mimic curtains in the wind. 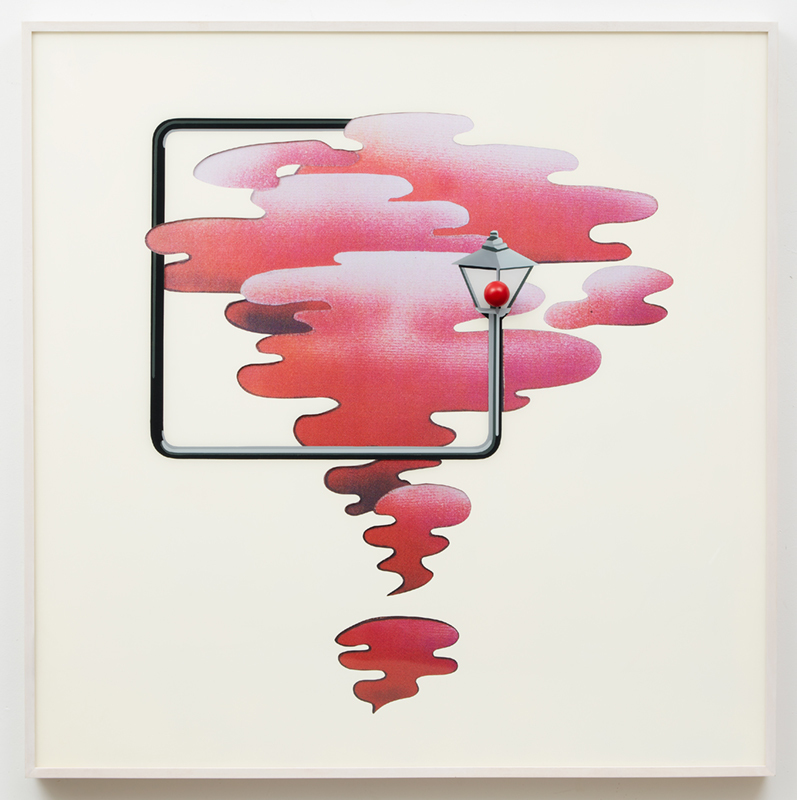 In his wall-based works, Da Corte combines familiar forms (like the red-painted light bulb seen here) and kitschy velvet painting rendered in a comic book illustration style. Like many of his works, this painting references pop culture but with minor alterations — the imagery is derived from the album cover for The Velvet Underground’s Loaded, while the title for the piece comes from Dolly Parton’s song “Light of a Clear Blue Morning.” Based in Philadelphia, Da Corte has exhibited throughout the US and Europe, including installations at Secession in Vienna, Mass MoCA, the Whitney Museum, and in the New Museum’s front window. His absurdist imagery can also be seen in musician St. Vincent’s music video, “New York,” which he designed and directed last year.